Eternal Night Review, My Shelf.Com Review, Washington Science Fiction Journal Review, Crystal Reviews/The Best Reviews.com, Bookideas.com, Timeless Tales, Yet Another Book Review Site, Wands and Worlds, Protoculture, Fantasy Novel Review, FlamesRising.Com. When Toshi is forced from his home by a powerful Samurai, Asaka, he is shocked to find that the man is obake, a demon. He is even more shocked when he finds himself “press-ganged” into helping an entire ships crew of undead to reach the Shakute Islands by reading the maps of the gaijin (foreigners). He soon becomes friends with some of the crew; in particular a Geisha called Miko. She does everything in her power to make his time on the ship tolerable. As the time passes he learns more of the history of the undead crew and he starts to train in the fighting skills of the Samurai. As he spends more time in the company of Asaka he begins to feel sympathy for their plight. They are unable to exist in daylight and are destined to continue in this half-life until they retrieve a teakettle from an ancient temple. This teakettle holds the key to their release. As the ship gets closer to its final destination someone seems to be doing everything possible to prevent them reaching their goal. Will Toshi and the crew make it to the Shakute Islands safely or will they be prevented from reaching the temple and finding the teakettle? This novel is truly original. The premise of a ship of undead Japanese warriors sailing the seas in search of salvation is one I have never come across before. I particularly enjoy the way that the intricacies of Japanese society are woven into the storyline. The use of Japanese words (such as gaijin and obake) add to the rich tapestry that unfolds as you read this story. The way that the relationship between Toshi and Miko develops is very well written. You can feel Toshi’s initial reticence as he struggles to come to terms with his conflicting feelings. Although Miko is an undead demon he finds himself becoming very fond of her and is concerned for her welfare. As the journey progresses Toshi’s skills in the way of the Samurai grow. His development from nervous apprentice mapmaker to skilled warrior forms a significant part of the story. This is also quite unusual. On the surface this tale revolves around the search for a teakettle but in many ways this becomes a secondary storyline with Toshi’s personal journey taking centre stage. I actually found myself feeling sorry for the undead sailors! This is quite a difficult book to review, as there are so many aspects that I would like to refer to but in doing so I feel that I would spoil the enjoyment for future readers. I do not know if this novel is Gloria Oliver’s first book. If it is then I am extremely impressed. The writing showed fluidity that you usually find in an author of considerable experience. Oliver shows, in particular, a willingness to carry out detailed research when planning a storyline. There is no way that this level of accuracy could be achieved without many an hour being spent in the library or on the Internet. 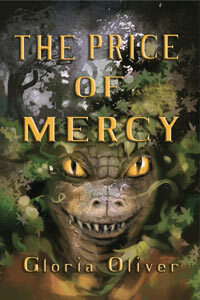 I think that this book is a superb fantasy novel and I hope that there are many more to come from Gloria Oliver. I much enjoyed reading a fantasy with a totally different setting to the usual Tolkeinesque tubby tome. The author has done her homework and seems to have a good working knowledge of old Japan, which adds an extra dimension to the tale; fantastic characters in a realistic historical setting. Exciting at the beginning and picking up speed halfway through when landfall is made and Toshi’s adventures begin in earnest there is perhaps a preponderance of descriptions where he has a bath, eats a meal, goes on deck etc in the middle that could have been dealt with much quicker thus getting on to the adventures. But nevertheless this original and entertaining tale is sure to satisfy anybody who is looking for something a bit different. If you enjoyed Liam Hearn’s Across The Nightingale Floor (also reviewed on this site) then this ought to please as well. Ghost stories are not as popular as in years past, but just as vampire epics have exploded in the last few decades, there are signs that spooky tales are being revived and like their vampire cousins, showing new life. Gloria Oliver’s In the Service of Samurai combines specters with Asian influences for a haunting adventure tale. Toshi is an indentured apprentice to a map maker. This unusual career is what gets him in trouble as his skills cause him to be kidnapped by a mask warrior. It is quickly evident that the Samurai, Lord Asaka, is actually a skeleton who forces Toshi onto his ship manned completely by an undead crew. The ghost ship has been sailing for years, trying to reach an island and complete their quest so they can rest in peace. Toshi’s task is make sure the cursed ship stops traveling in circles and finds the island. It is an unique trip, as the ship must submerge during the day to protect the Lord and crew from sunlight, which would destroy them. But Toshi is not friendless: Miko, a beautiful, but dead geisha, helps him adjust to his new life and explains why the crew is striving so hard to achieve their goal. Her influence changes Toshi’s view of Lord Asaka from dread to admiration, although he still finds the Lord distant and stern. The trip is not without danger, as there is a traitor in the crew who caused the ship to sink. An undead assassin threatens Toshi’s life, as without the boy, the quest cannot continue. Just being on the ship endangers Toshi, as it leeches his life away if he sleeps while it is submerged. To combat these dangers, Toshi is given sword training for protection from the ninja and only sleeps on the deck of the ship at night. Once the ship reaches the island and the long hunted-for item is found, Toshi discovers he is being pressed into service again, as only a living person can retrieve the required piece: a iron tea kettle. This proves no easy task, as spirits guard the kettle and Toshi must pay a price to gain the prize. In the Service of Samurai is a ghost story, but also an adventure tale, a romance and a coming-of-age story. The pieces fit to together well because the author shows us characters with many sides. Lord Asaka is a driven man who does his duty, but he also shows tender love for Miko. Toshi displays great loyalty to those he cares about and also shows strong belief in duty, but resents not being able to make his own decisions. Positioned between these two, Miko is a caring woman of grace and intelligence who also never forgets she comes from a humble background, not a noble birth. The story includes plenty of action and the plain iron tea kettle is the key to the mysterious disappearance of a great Lord. Gloria Oliver has created a work of atmosphere, adventure and fun. I recommend you start your quest for a copy of In the Service of Samurai today. Colleen is a librarian at the Library of Congress and among her other duties, is the Recommending Officer for Science Fiction and Fantasy. Chizuson Toshiro, performing his ordinary but skilled mapmaking skills in service to his master, senses the presence of something frighteningly unnatural in Master Shun’s latest customer. Turning to greet the gruff-sounding man, Toshi is overwhelmed by what he sees – a being with greenish, demonic-looking eyes whose armor is dripping with tufts of wet seaweed! So begins a journey with multiple twists and turns that catapults Toshi into an unfathomable world full of intrigue, mystery, death, and a service that seems impossible. This charge, however, must be fulfilled in order to free himself and his captors. The alternative is to become like them, tormented but driven dead spirits! As Toshi is forced to use his navigational skills to guide his eerie companions to their final mission, he is trained in bushido fighting skills and learns to trust his shipmates. Meet Asaka-sama, a slain daimyo whose sole focus is to restore the tainted honor and destruction of his clan; Miko-san, a gentle, humorous, but wise woman who transforms Toshi’s fear into trust and dedication; Mitsuo-sama, his trainer in making the boken (wooden sword) an extension of Toshi’s entire being; a fearless ninja who must destroy this boy expected to deliver a priceless object that will free one clan and destroy another; a blind Buddhist priest who will assist Toshi at an unimaginable cost; and other fascinating characters of the Asano and Tsuyu clans. While this book is characterized as fantasy, it contains a fascinating world of samurai honor, skill, and culture that reflects the author’s well-researched and creative presentation of feudal Japan. The characters become more than credible and yet the fearful mystique of “lost spirits” never escapes the reader’s consciousness. Subtly and slowly increasing, Toshi’s acceptance of his new life becomes the reader’s enthusiastic support and tense anticipation of every step forward to success or failure. This is a magical, unique novel which deserves wide recognition. Gloria Oliver’s obvious familiarity with Japanese customs and history is splendidly presented in this haunting but beautifully crafted novel. You might say that this 310-page adventure novel can be summarized in one sentence: Lowly peasant boy undergoes unusual adventures that test his character and winds up achieving a greater destiny than he could ever have imagined. 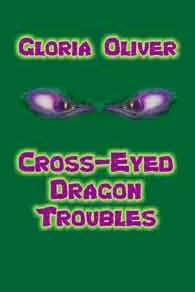 While this is a hoary plotline used in countless classics, author Gloria Oliver succeeds in fleshing it out in her own way, thereby producing a fresh and enjoyable story for young readers. Oliver starts by giving the tale an exotic setting: medieval Japan. Although nothing in Oliver’s biography indicates an extended residence in that country, the author manages to depict a Japan that has the feel of authenticity to it. Perhaps this stems from her self-professed enthusiasm for Japanese comics and animation. She also introduces a likeable and realistically-drawn protagonist: Toshi, a teenaged orphan who has been apprenticed to a mapmaker. Our young hero-to-be considers himself lucky to have been taught the rare trade of cartography. Within the first five pages of the book, though, he finds his world turned upside down when a mysterious warrior (samurai), smelling of the sea, walks into his master’s shop one night and asks for maps to some nearby islands. This wouldn’t be so unusual — except that the “customer” turns out to be a skeleton, specifically an undead samurai, Lord Asako. What’s more, Asako then proceeds to coerce Toshi onto his ghost ship (complete with a skeleton crew, so to speak) to help him complete the mission he was on when he died. From here on, the story incorporates elements of the supernatural (ethereal temple priests, demon ninja), as well as of traditional adventure (swordplay, chase scenes) as Toshi develops from reluctant prisoner to nascent hero. To her credit, Oliver keeps things realistic (to the extent that things can be realistic in what is kind of a sword-and-sorcery story, Japanese-style–a mixture typical of “manga”, or Japanese comics): Toshi does not magically become a fierce swordsman or brilliant strategist. Instead, although we see Toshi growing up in the course of the story, he still remains a boy on the cusp of manhood, full of both innocence and insecurity. The story is fast-paced in the beginning and in the exciting ending, but some parts in between do drag on too long. While many of the chapters are no doubt necessary to delineate the characters better or to move the plot forward and provide drama, the novel would probably read even better if trimmed by at least 50 or so pages. The length of the book isn’t a major problem, though, particularly since you will probably enjoy the company of the cast of characters. Aside from Toshi himself, the author does a good job making us identify and empathize with the determined Lord Asaka, his gentle geisha Miko, who takes Toshi under her wing, and the feisty Himiko, a princess who appears in the later part of the book. The dialogue, too, is well written, and the genuine sound of it helps to make the characters more real. In both the narrative and the dialogues, Oliver’s references and descriptions of various facets of Japanese history, culture, and tradition are woven finely into the fabric of the story. She hus manages to be informative without being distracting or didactic — while presenting, at the same time, a pleasant diversion for her readers. “In the Service of Samurai” takes place in a fictional setting of Medieval Japan. The Asaka Clan has come back from the dead and risen from the depths of the sea to finally complete the mission they were sent out to do. In this epic adventure, the unwilling key that will complete the Asaka clan’s mission is a peasant boy named Toshi. Toshi must help the Asaka clan succeed and face many dangers or risk becoming what the Asaka Clan has become, the undead. Toshi was sold to his master, a mapmaker named Hirojima Shun, when he was very young. Now, at the age of fifteen, he is an apprentice mapmaker. Master Shun is unwell and Toshi is in charge of the shop, when a Samurai, with glowing green eyes, comes in minutes before closing. For the first time in his life he has proof that “obake” (or monsters) actually do roam the world. The Samurai standing before him is an “obake” and has come for him. Toshi is kidnapped from his home and pressed into the company of a ship full of the undead Asaka Clan. The enemies of the Asaka Clan attempt to stop Toshi from completing the task his new master has given him by making him one of the truly dead. Gloria Oliver has created an exciting and entertaining adventure with “In the Service of Samurai”. Although it may take you a chapter or two to really get into the story, it is well worth reading. “In the Service of Samurai” is about honor, betrayal, love, faith, and friendship. While reading “In the Service of Samurai” you get to know Toshi well, and feel as if you are right there with him throughout his adventures. As the story unfolds, Toshi meets new and dangerous challenges and discovers that not everything is as it seems. I thoroughly enjoyed reading about Toshi and his adventure with the Asaka Clan and watching Toshi grow thru the challenges he has to face. I look forward to reading more of Gloria Oliver’s work. If you enjoy reading a fantasy full of action and adventure I highly recommend you go out and get “In the Service of Samurai” and be prepared to enjoy a trip to Medieval Japan. Toshi doesn’t at first get along well with this dead ship and crew. The cold hand of death creeps upon him when he sleeps, making him ill. But there is a mystery to be solved: Why can’t the honorable Lord Asaka, his sweet geisha, and hard-working crew find peace in death? Why are they wandering the seas, restless? Why do they continue needing Toshi’s help even after his skills of navigation bring them to the far shore they seek? Why do ninja seek to kill Toshi? Toshi finds himself on a quest for an odd object that appears valueless, yet as the price for this object grows into lives of men, Toshi must grow as well, into a man of strength and perseverance. He thought at first that he wanted to go home. Now life and honor hold more meaning to this peasant caught in a mystery of undead. Though the world-building in this book was a tad narrow, what was done was done quite well. It is a very nice first novel of fantasy culture and mystery. This reader rates it a ten out of ten on the enjoyment scale. The Pirates of the Caribbean meet The Last Samurai in this fascinating tale of duty, honor, and courage. The characters, including the undead, are well-drawn and show unexpected depth, and the many details of Japanese culture make for an interesting story. But beyond that, the book is a good adventure and a real page turner; I couldn’t put it down. The book contains mild sexual content; there are some innuendoes but nothing explicit. The book should be fine for a teen audience, but parents may want to read it first to decide for themselves. Imagine being bought into slavery for a group of undead Samurai! This is exactly what befalls Toshi the young slave mapmaker. One night Asaka Ietsugu comes to the master’s shop, drops some money and a note on the counter, and takes Toshi away. Toshi is shanghaied aboard a ghostly vessel to help the doomed Samurai complete the mission they failed to do during life. And so begins an adventure that has Toshi sailing the high seas; having tea with the beautiful undead geisha, Akiuji Miko; and battling ghosts, undead ninjas and demons to recover the object his new master must find to win eternal peace for the entire crew. Toshi learns that appearances aren’t always what they seem, that sometimes you can’t take things at face value. You need to take a closer look. For Toshi the adventure is also a journey into manhood. 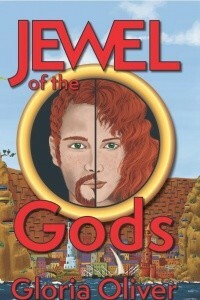 Gloria Oliver has written a delightful tale of a young boy’s triumphs over adversity. She brings to life characters who have you first hating them and then she turns it around and plays on your sympathy for them. In the Service of Samurai is a terrific novel set in the land of the rising sun. If Japanese animation is your bag, you’ll enjoy this novel! I’m frankly a sucker for many things — ghost stories and samurai films among them. On discovering the book In the Service of Samurai by Gloria Oliver, I was pleased to discover that two of my passions had been rolled into one package. In the Service of Samuari tells the story of a young apprentice mapmaker, Chizuson Toshiro or “Toshi,” who is purchased from his master to act as navigator for a strange samurai with an even stranger ship and crew. Cursed and betrayed in life, the undead Samurai and his ghostly men must wander the sea until they have completed their mission. In the end, only Toshi’s wits and determination can help them see it through. The tension of the story grows as Toshi learns to accept his situation. As he discovers more about his new masters, he feels sympathy for them in their fate, and a desire to help them find peace grows within him. In the end, new and unexpected obstacles block his path, and he must use not only his sword but his courage and tenacity to overcome them. Oliver deftly creates a likeable character in Toshi, who’s only real hope at first is that he doesn’t get killed. As time passed, Toshi grows into his role, becoming less of a boy and more of a man. This isn’t some corny, coming-of-age story, but rather a tale about duty – both to one’s self and to others — and honor. We learn a little about the ghostly crew and their fate, but even they are unaware of the traitor in their midst, one who sacrificed everything to make sure the crew’s mission doesn’t succeed, and who now sees Toshi as an interloper who can negate that sacrifice. I have to admit I found this a slow read in the early going, even setting it aside for a while. I’m glad I came back to it; it’s akin to classic Japanese folk tales, and the ending, while perhaps a bit predictable to some, is no less enjoyable for it, and even brought a tear to my eye. As the plot develops, the hard, two-dimensional edges are worn smooth, revealing sophisticated characters with complex motivations. Ms. Oliver also gives us a romantic glimpse into the life of everyday people in Feudal Japan without glossing over the cruelty and oppression that also existed. My only complaints with this book are mostly minor and cosmetic. Again, the story started slowly for me, and in the early going the characters seemed clichéd and wooden. Much like Toshi, my patience and perseverance were handsomely rewarded. The cover art is amateurish, detracting from the first-glance appeal; don’t let that meagre first impression stand in the way of a good story. In the Service of Samurai is a classic Japanese ghost story that more than just aficionados of the genre will appreciate. 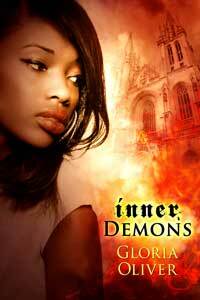 I highly recommend this book and am looking forward to reading more of Gloria Oliver’s work.